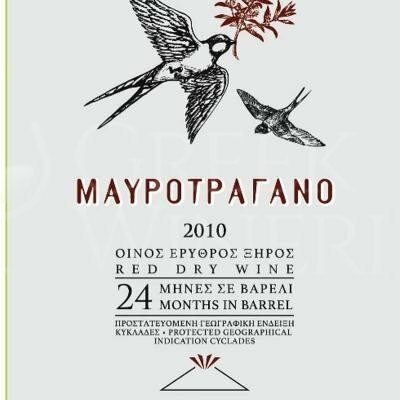 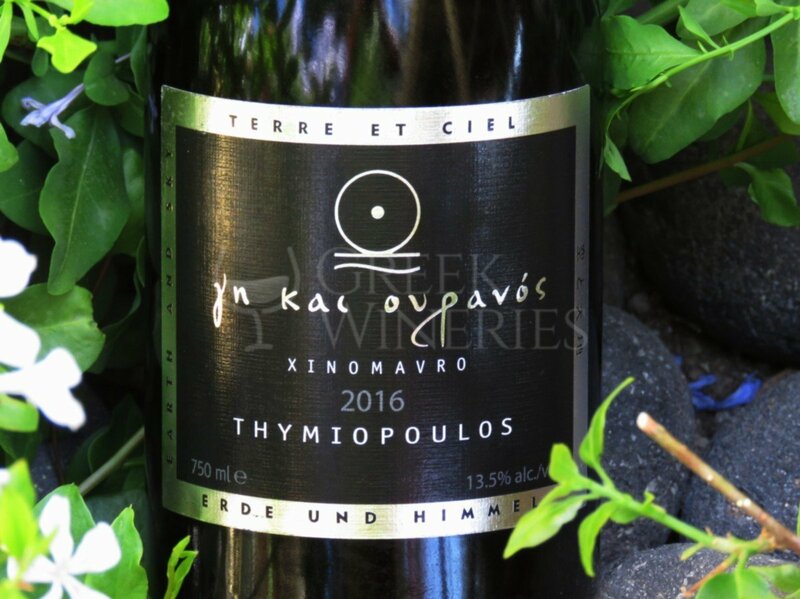 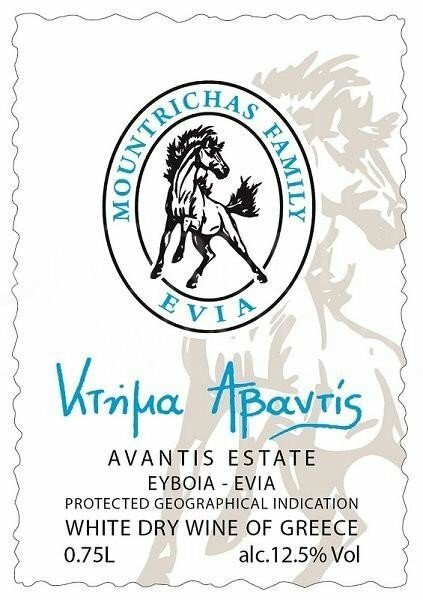 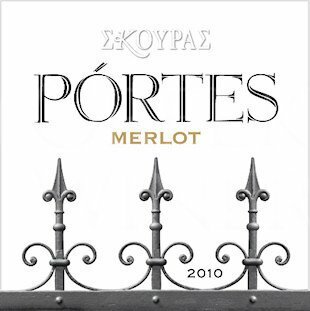 Grape variety Merlot 100% Dry red (PGI) Peloponnese Fermented and macerated in stainless steel vats, aged in French barriques (partly-new oak) for 8 months and a further 6 months in bottle.Red cherries, plums, sweet vanilla, cedar notes. 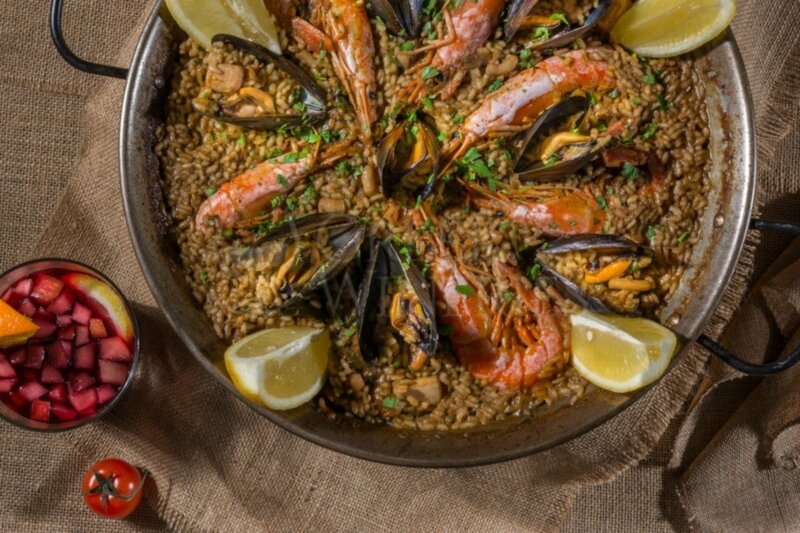 Thick and round mouth. 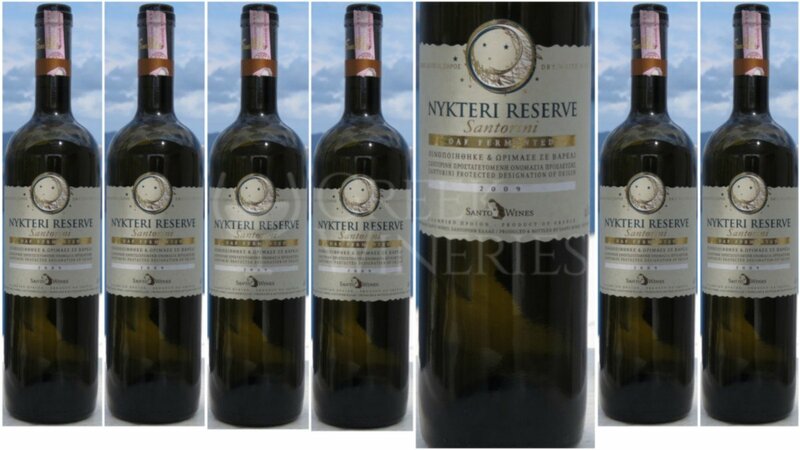 The wine matures in bottle for a further 6 months in our cellar. 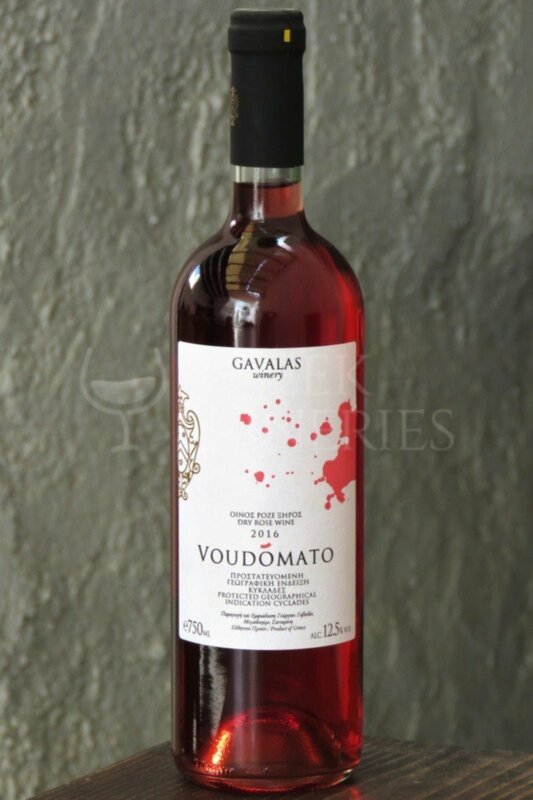 Alcohol by volume	14% The colour is deep purple with ruby highlights. 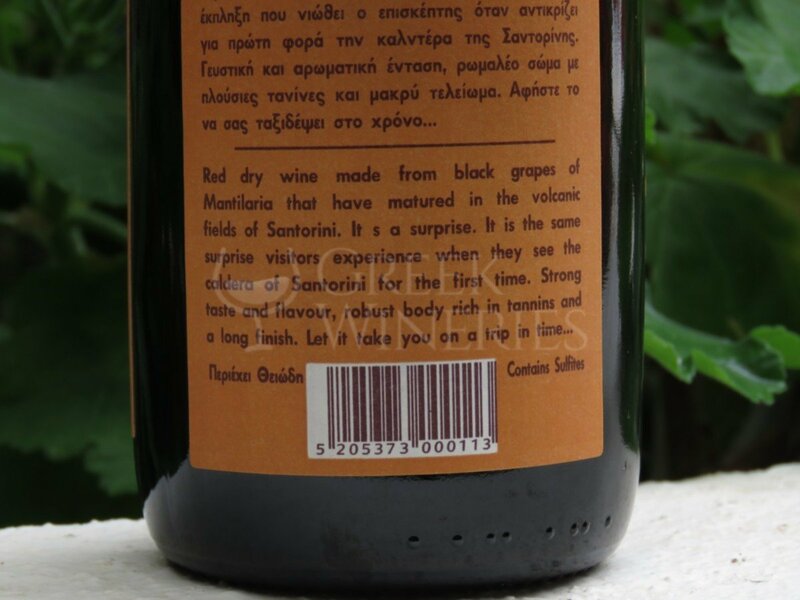 On the nose, it is concentrated, very complex, and multi-dimensional. 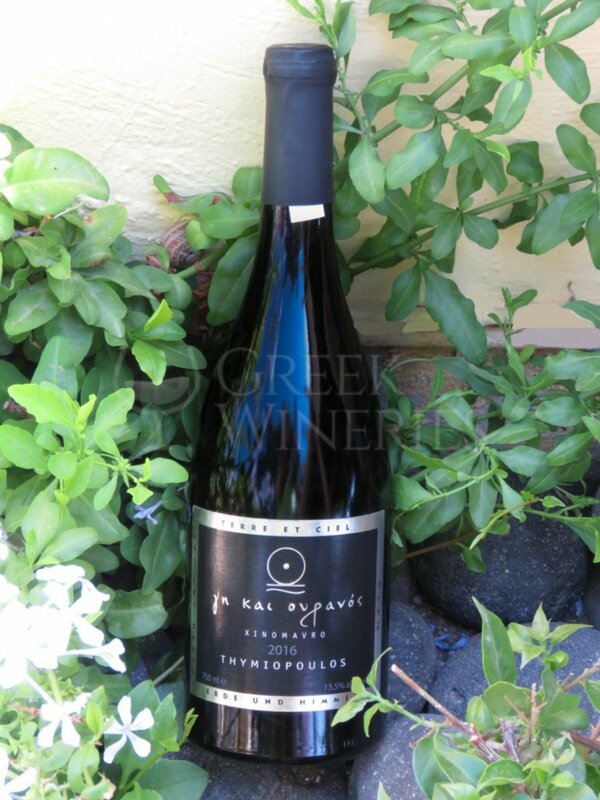 It reveals aromas of red cherries, ripe plums, sweet vanilla, and hints of violet and tobacco. 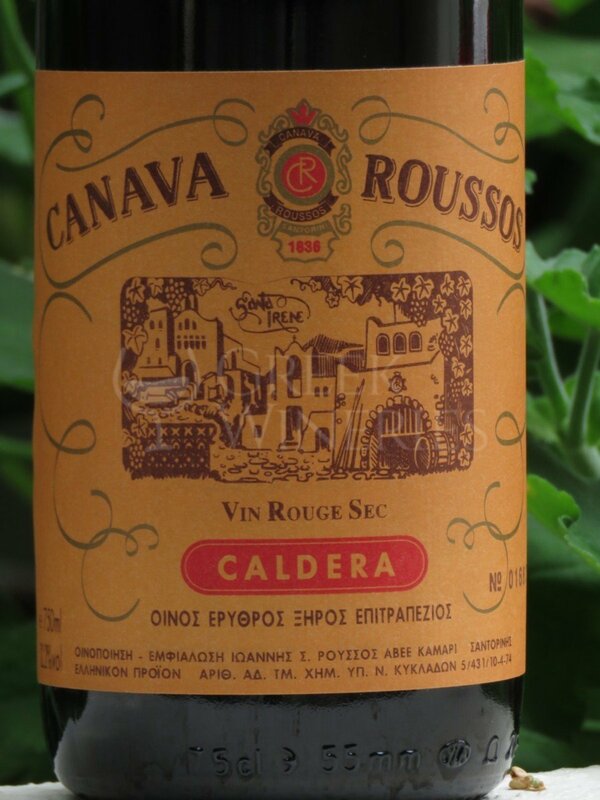 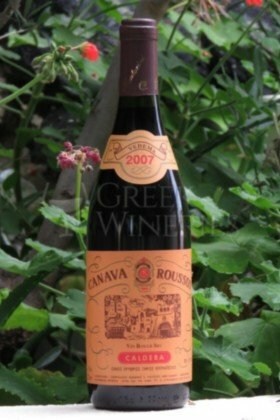 On the mouth it is smooth, velvety, full-bodied with very ripe soft tannins. 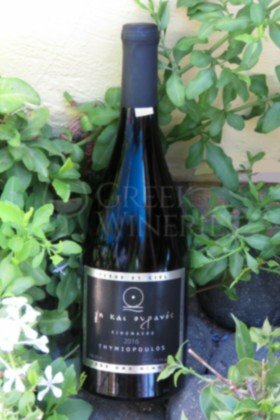 Deep black and red fruits fill the palate and flavours of spices and tobacco follow. 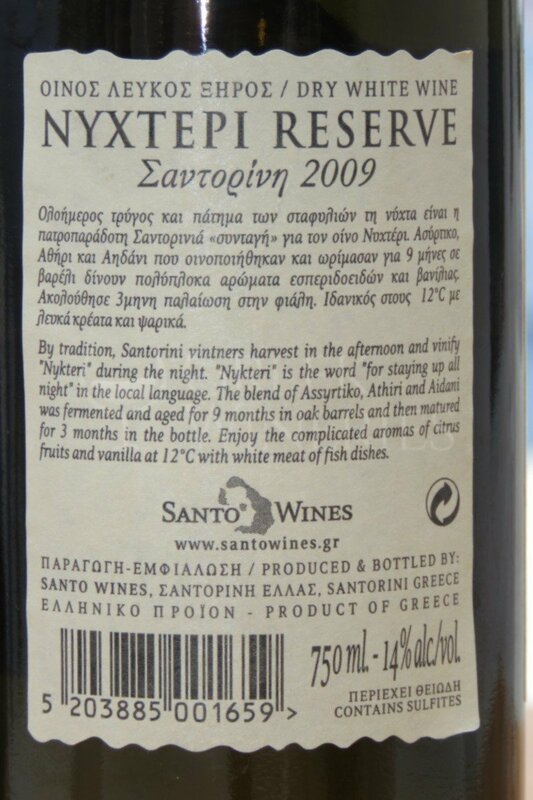 The aftertaste is rich,and long. 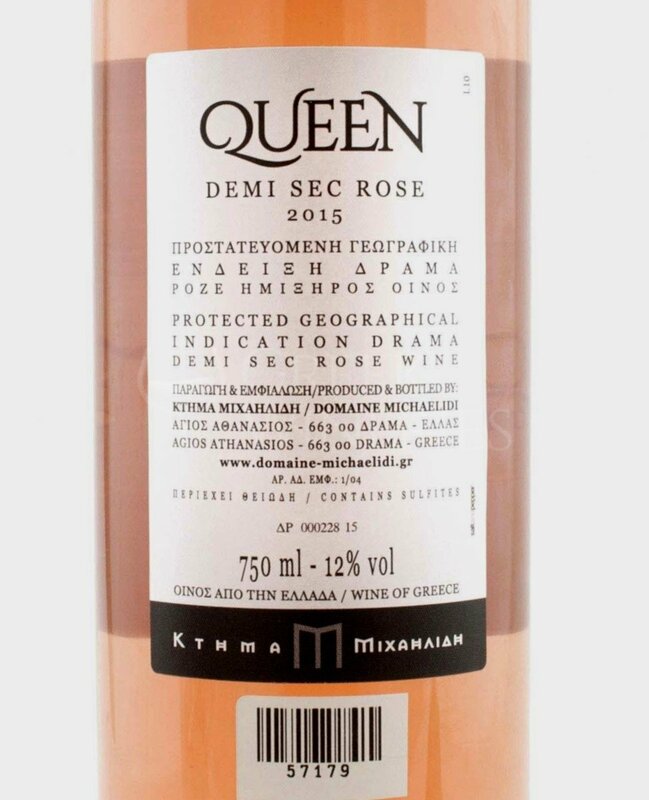 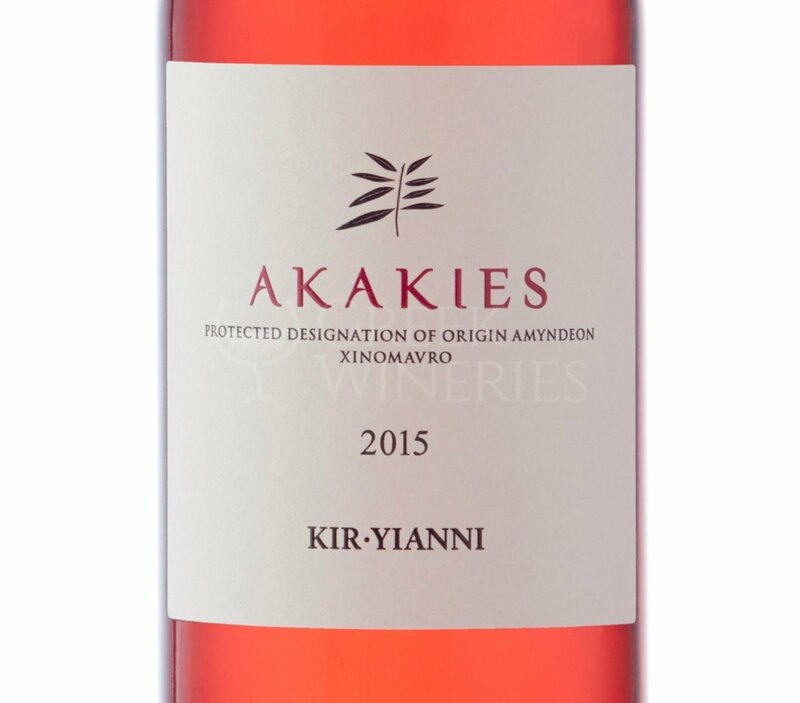 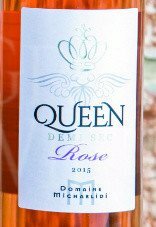 Domaine Mihailidis rose Variety Gewürztraminer / Syrah The semi-dry rosé Queen a superior combination of Syrah and Gewurztraminer in sour shades of freshness that suits exotic choices, chili, green curry, ginger and pineapple. 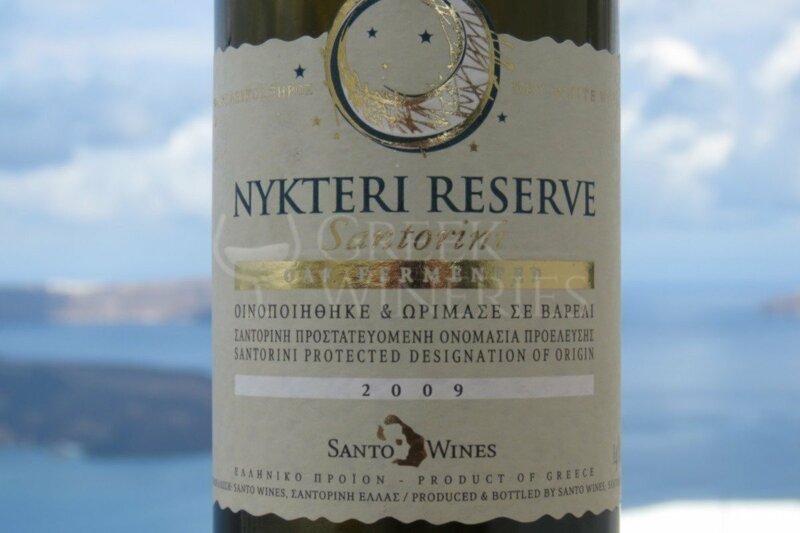 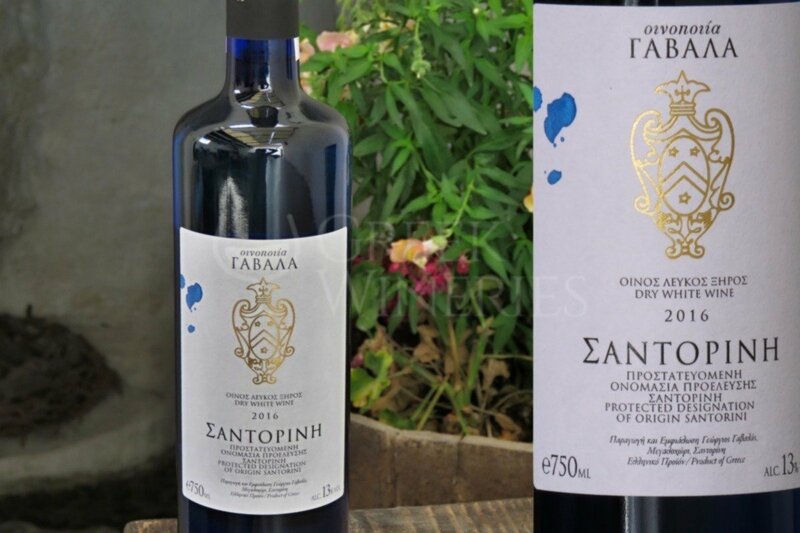 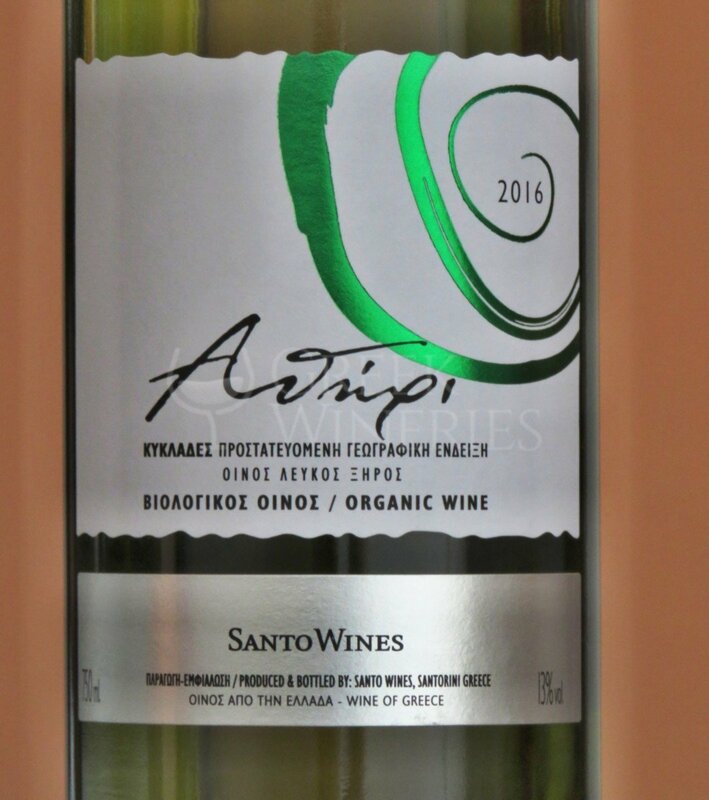 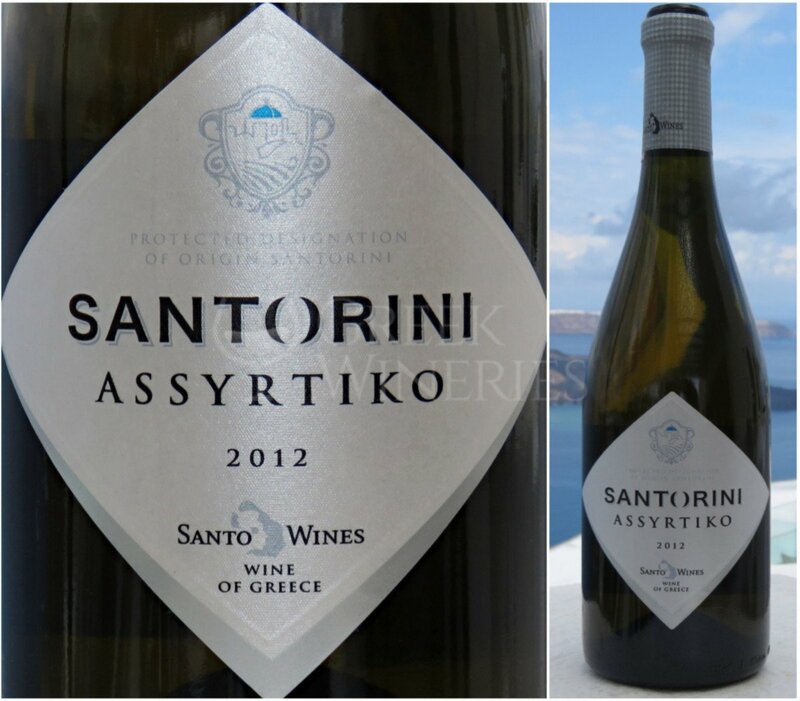 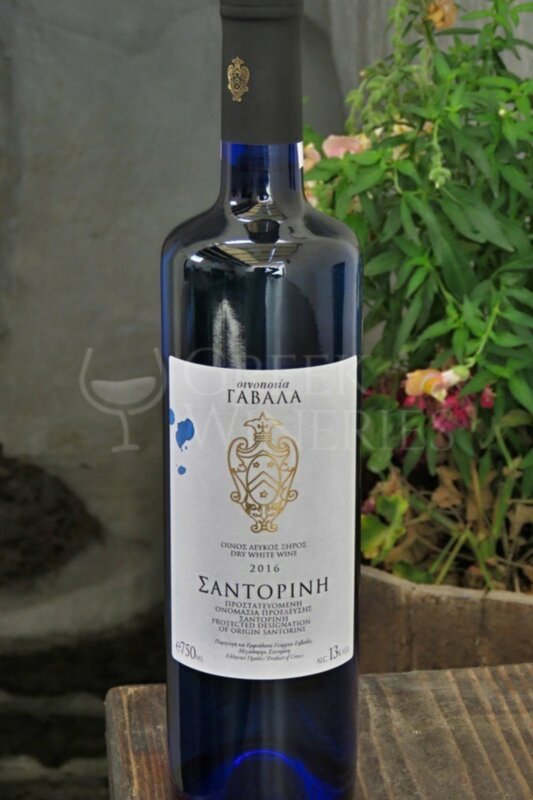 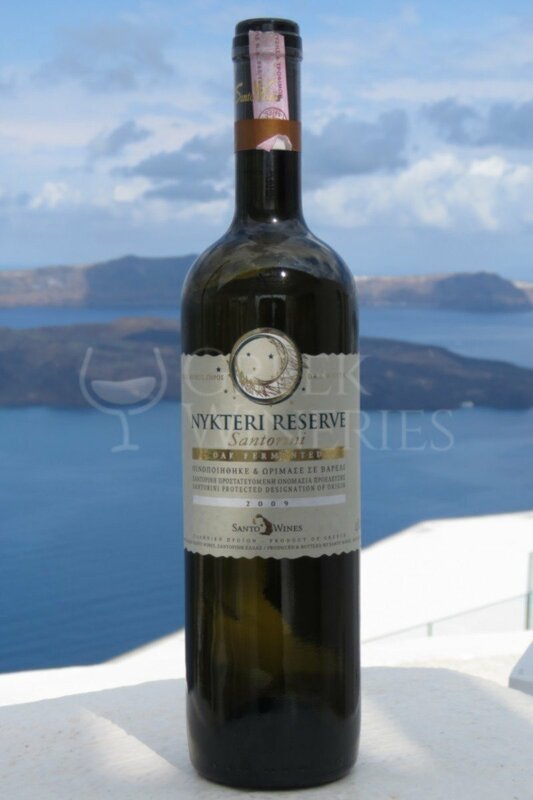 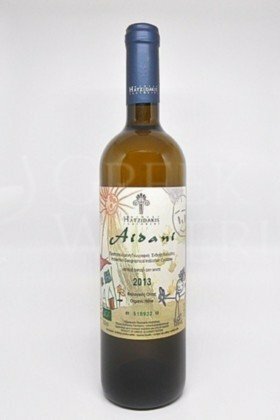 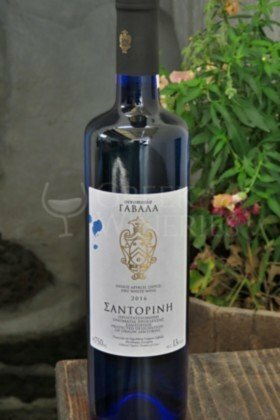 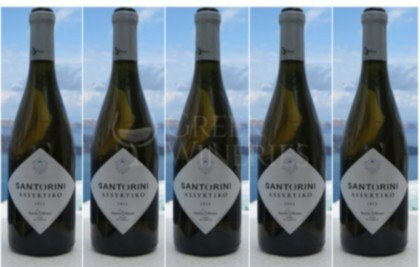 Assyrtiko, PDO Santorini Variety : Assrtiko 100% They main grapes origin is Pyrgos, Megalohori and Exo Gonia. 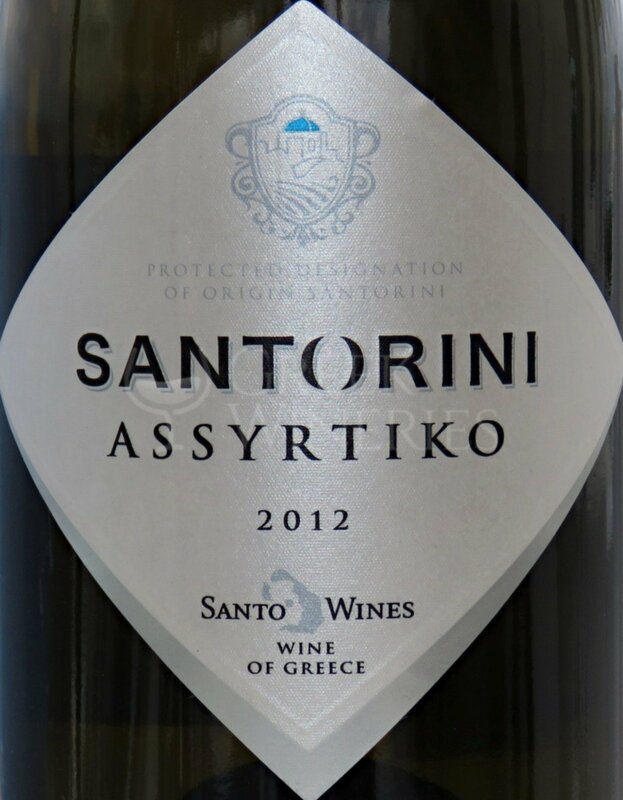 Classic white vinification with a percentage of cold soak extraction regarding each year. 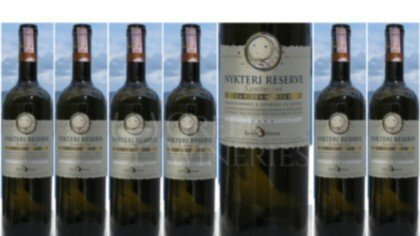 Minimalistic approach of the vinification and maturation on total lees for at least 5 months, using badonnage frequently. 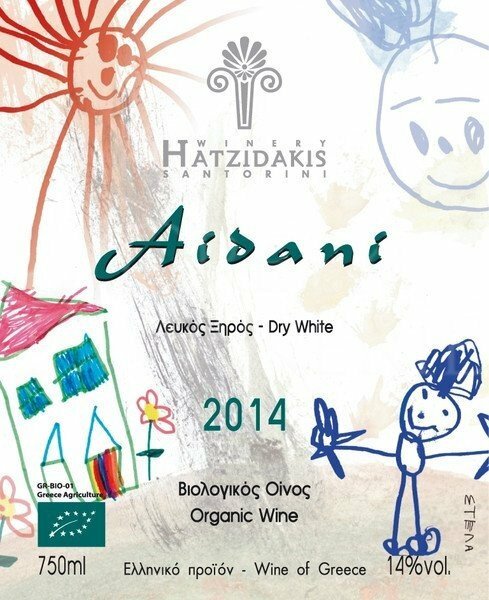 Prevails in the nose followed by fruity allisions of peach and pear but also botanic tea , chamomile .Full, concentrated wine with finesse complexity and big saltiness long lasting in the mouth. 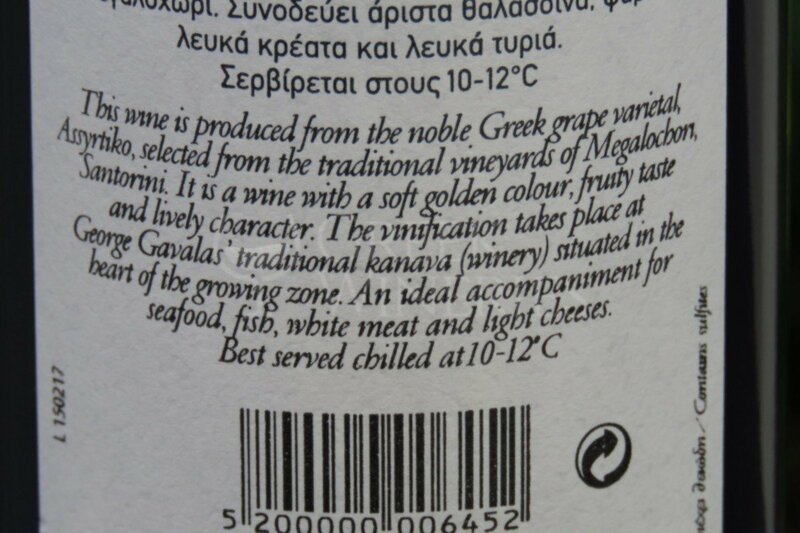 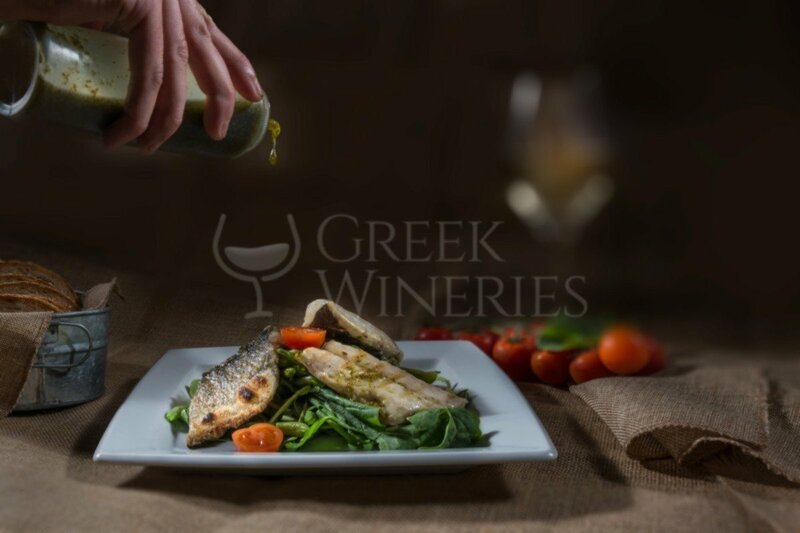 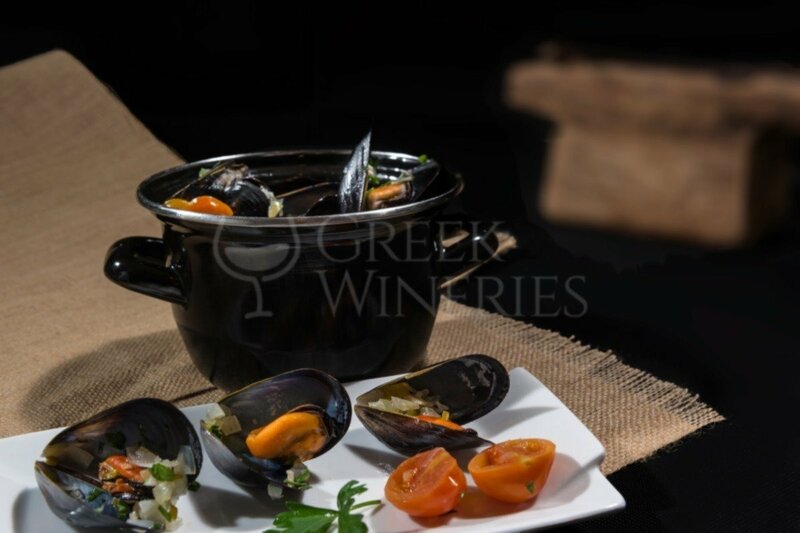 Served at 10 – 12’ C becoming a delicous match with rime grilled fish or shellfish. 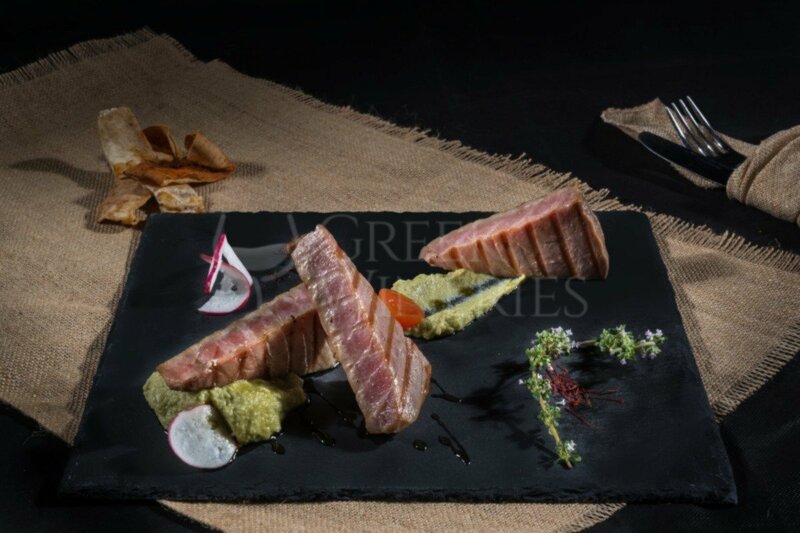 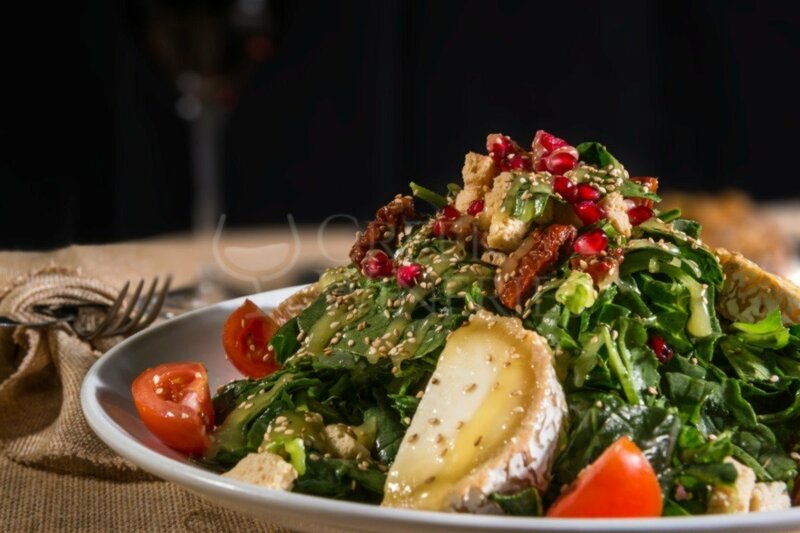 Alternatively you can pair it with lamb or even with dishes of the Asian cuisine. 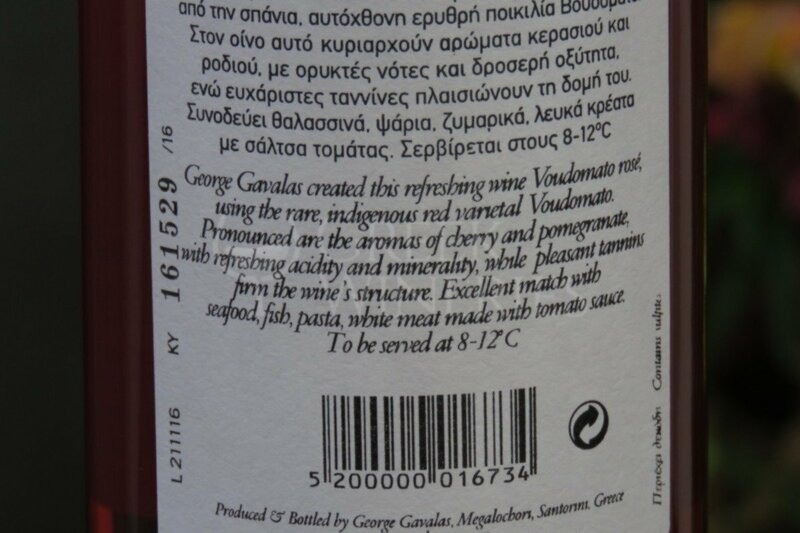 It will also shine with chicken in the oven and pasta with aromatic herbs. 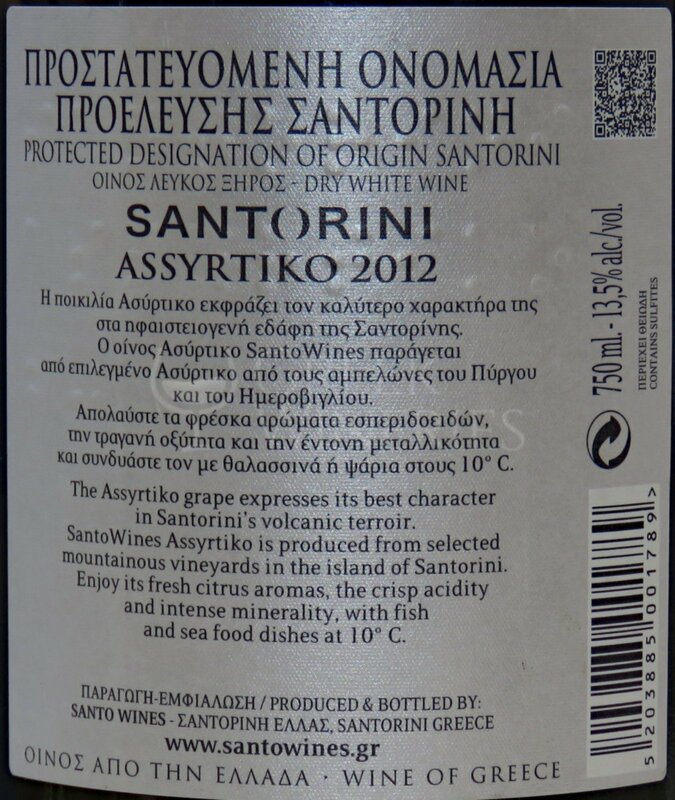 Cold maceration for 12 h. Alcoholic fermentation temperature controlled at 14 oC. 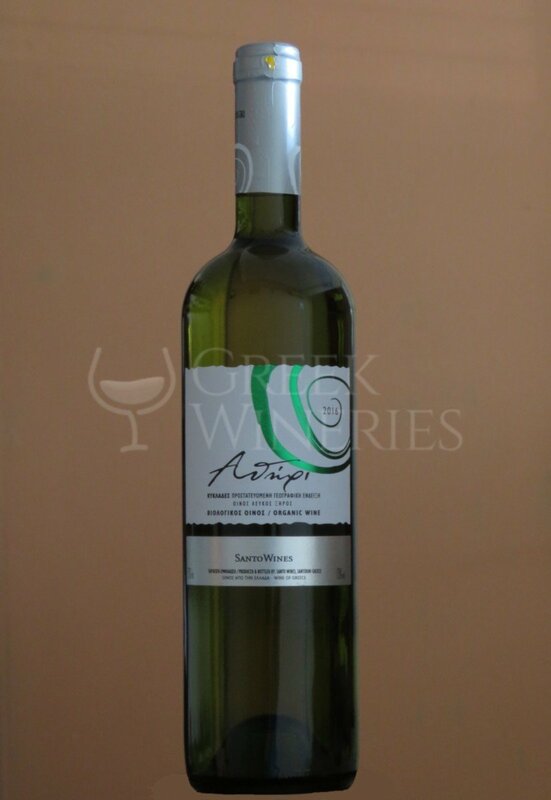 Lemon colour with green tints and aromas of ripe yellow fruits (pear and melon). 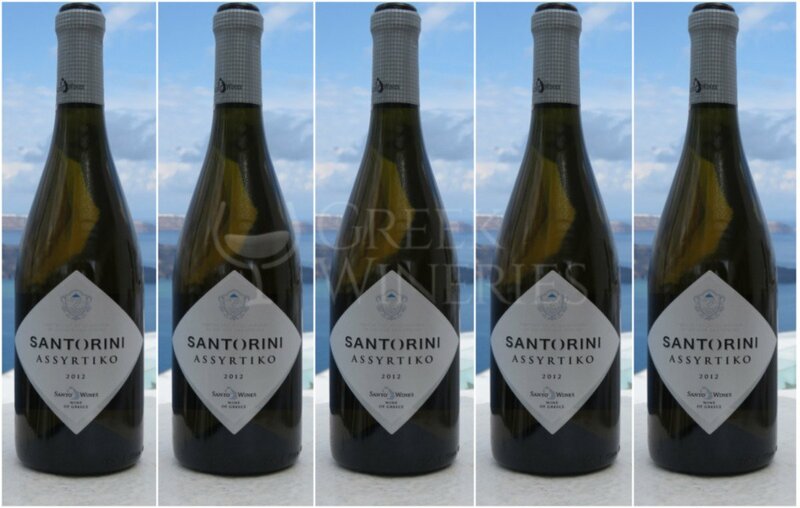 On the palate is dry with a moderate sense of sweetness, minerality and refreshing acidity. 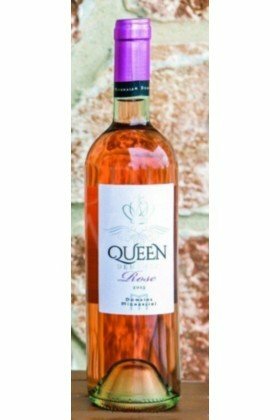 Aromas of white peach and apricot, reveal the fruity aftertaste. 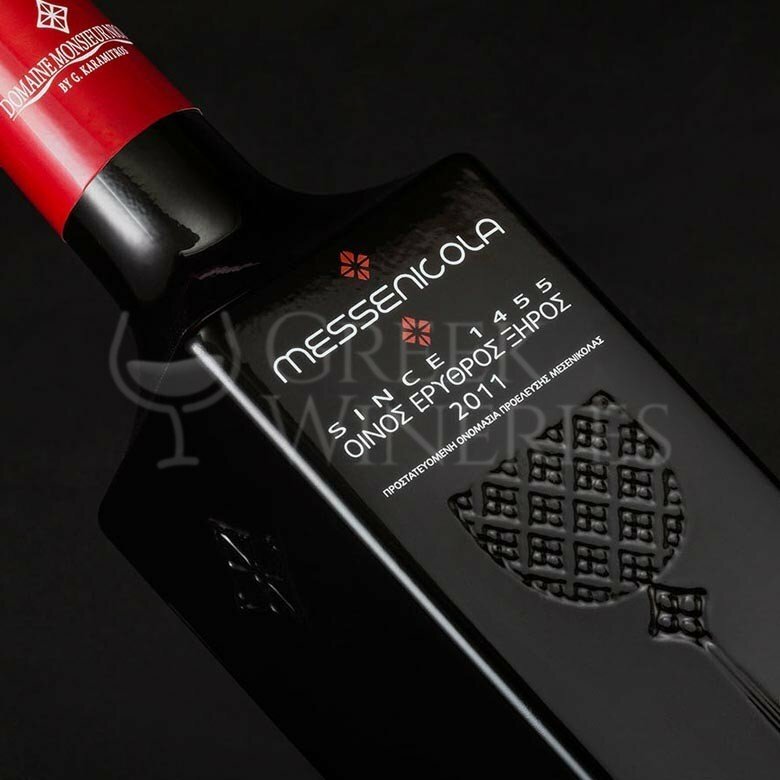 P.D.Ο.Mesenicola variety 70% Black Mesenicola - Syrah & Carignan 30% Dry Red Wine Rich body full of aftertaste of floral and forest fruits and soft tannins. The ruby, his intoxicating eyes, his color, brings memories of his long history. 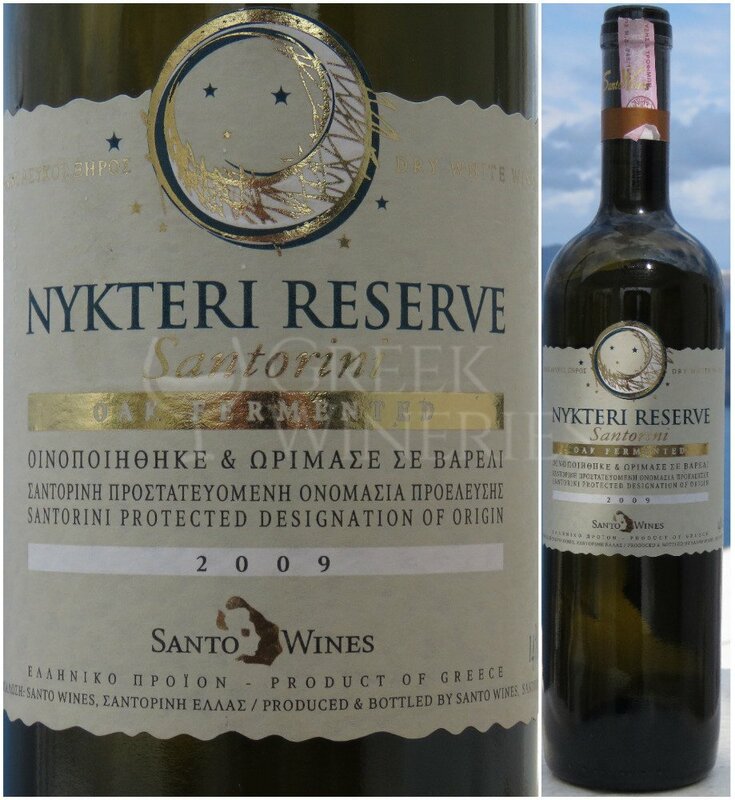 Small French oak barrels are groomed for a year and can mature perfectly for another 10 years in the bottle. 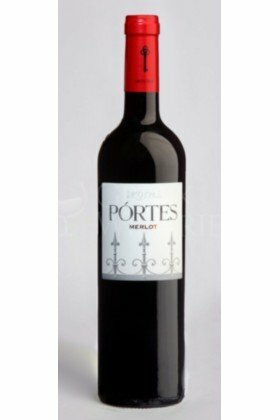 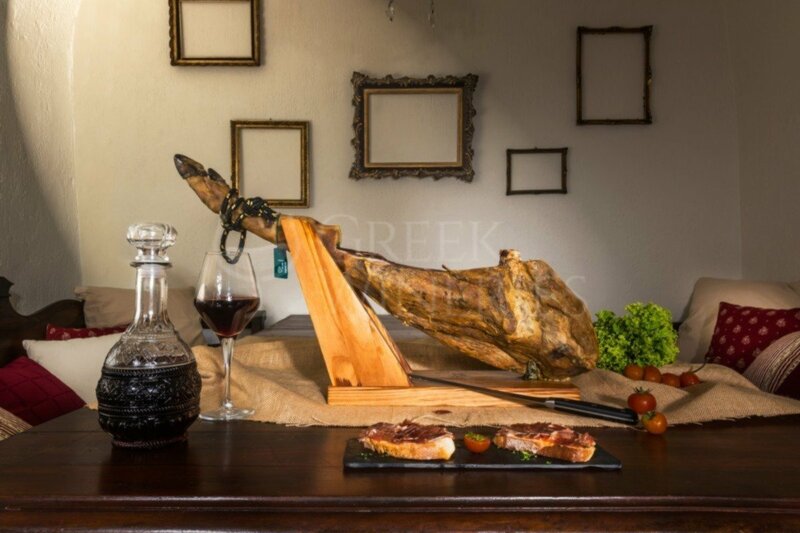 It blends harmoniously with roasted red meat, hunts and red sauces, smoked cheeses and cold meats but also with fruits like apple and pear. 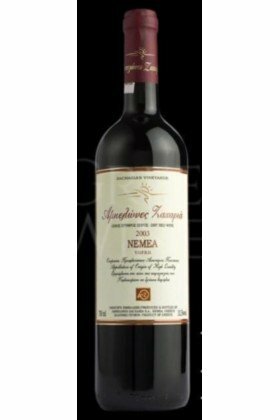 Allow 15 'to breathe and serve at 16-18 ° C.
Ampelones Zacharias NEMEA P.D.O. 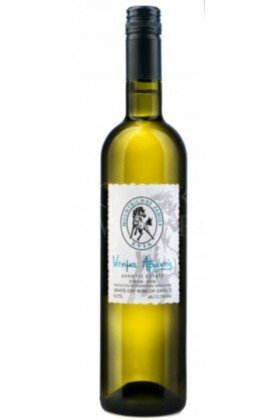 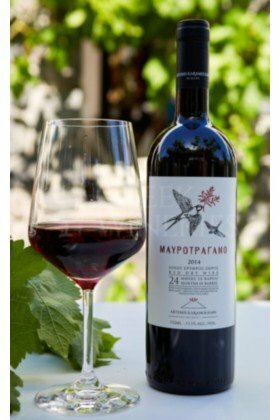 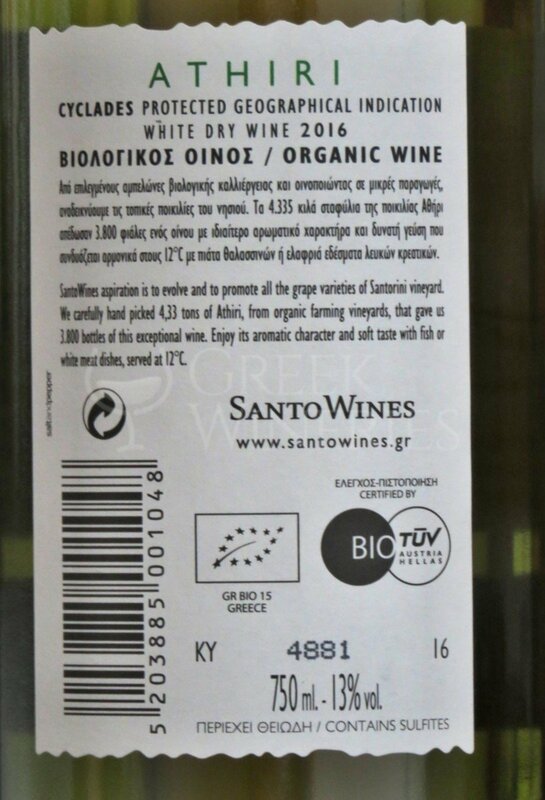 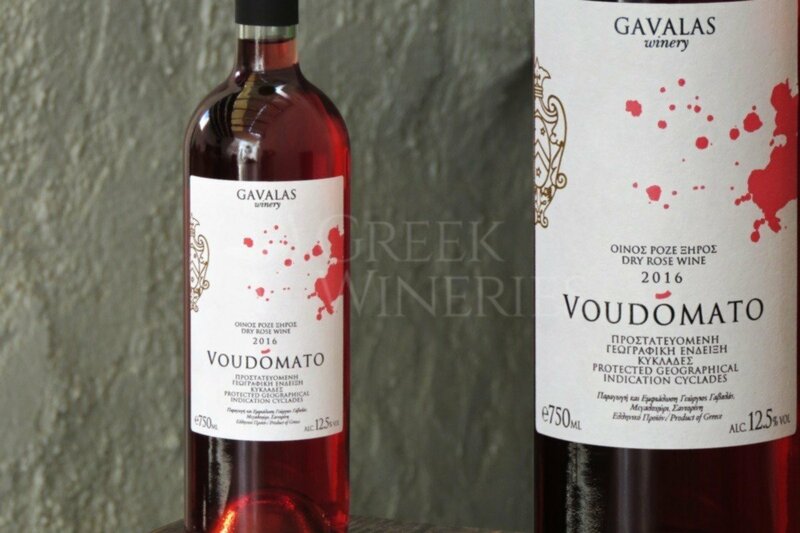 Dry Red, Variety: Agiorgitiko 100% Red classic wine making method with 10-15 days skin contact at 25-28ο C. Aging for a year in new French oak weights and then for seven months in the bottle. 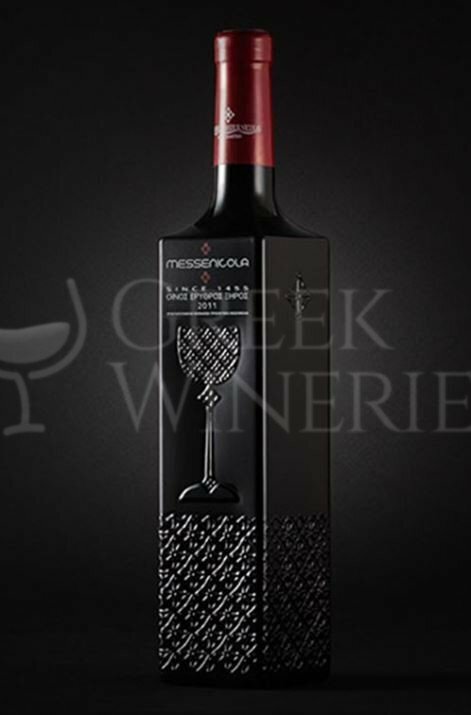 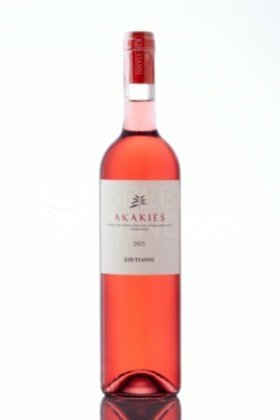 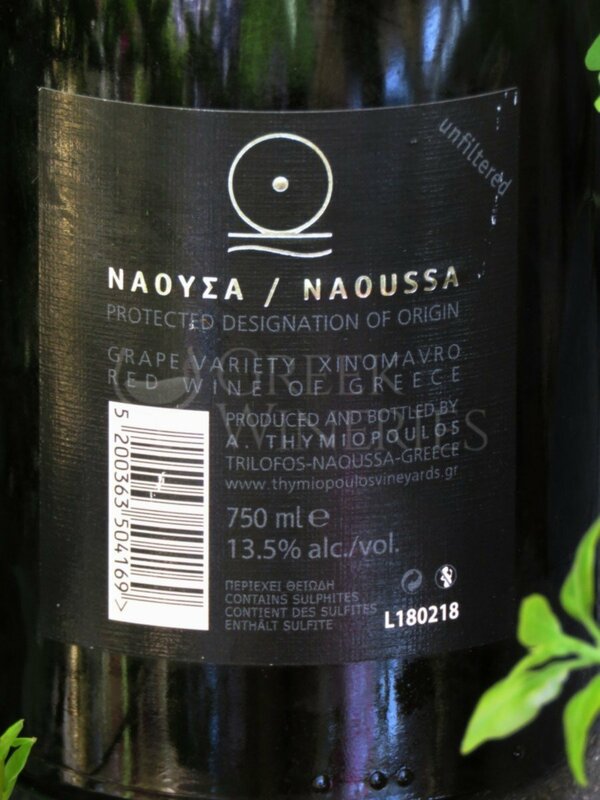 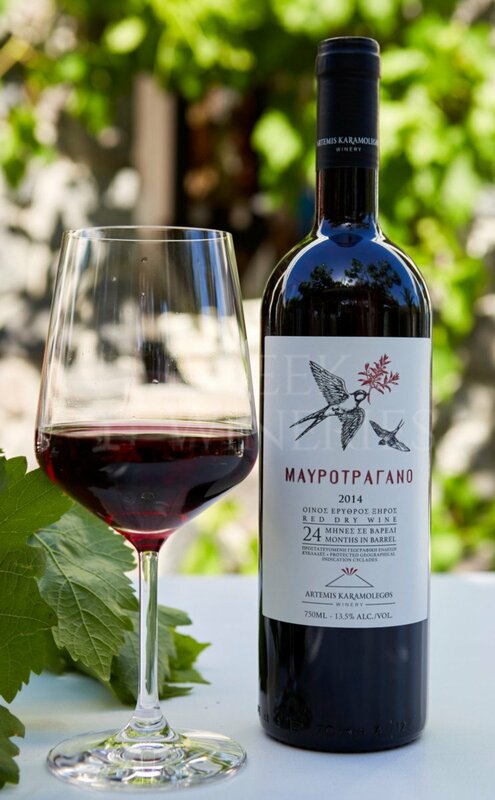 Agiorgitiko in his classic version ... A deep ruby color and a soft ripe bouquet with notes of red cherry, strawberry and vanilla characterize this Nemea wine. 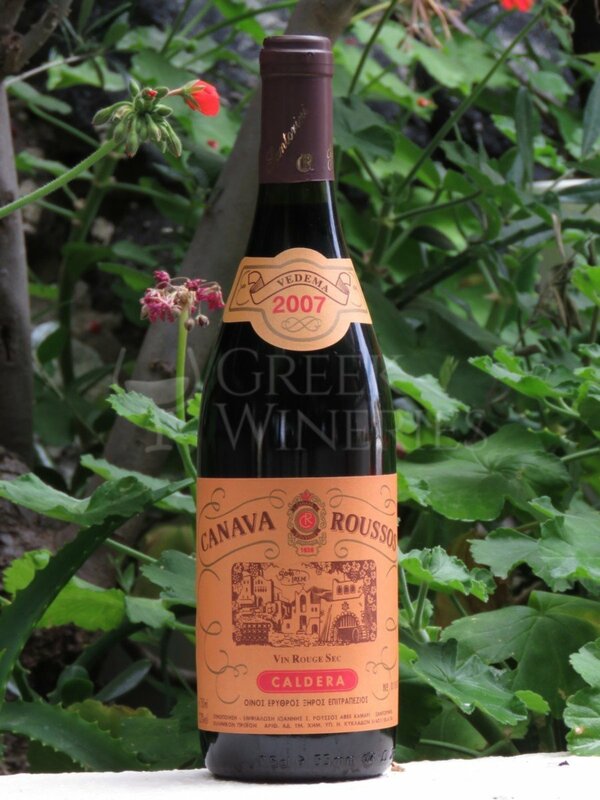 It is full, balanced, with soft tannins and velvety aftertaste on the palate.